/Analytics & Reporting /What Are All the Analytics and Insights Available in Mangoapps? Companies require analytics to measure and track their results, across time and convert ‘data’ to ‘actionable data’. Network level analytics gives you idea of how many users are using MangoApps. What kind of activities, such as posts, views, likes and comments, they are performing in the portal. Network analytics consists of 3 sections. II. Click on the ‘Profile Photo’. III. 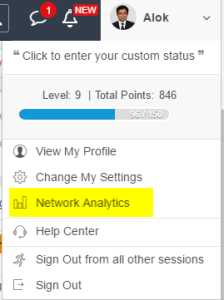 Select ‘Network Analytics’ from the drop-down. IV. You can view of the generated report to evaluate engagement at network level. a. ROI Dashboard – Return On Investment (ROI) feature allows you to track user engagement and figure out whether MangoApps is giving you the most returns. You can access the dashboard which calculates your savings per month, time saved per month and amount of improved productivity per month. Savings per month and time saved per month are calculated based on the activity of users within your domain, so the more active your users are in MangoApps, the higher your ROI will be. * We recommend waiting about 6 months before taking your ROI seriously. User Engagement chart buckets your users into four separate groups, based on their level of engagement. The chart will give you an idea of how active your users are, help you set goals and monitor how the success of your MangoApps is improving. You can even dig deeper into who’s not engaged or only moderately engaged by downloading the report and analyzing it. I. Highly engaged users –These are the users who on multiple occasions perform an activity on MangoApps daily. They contribute both as a reader and a contributor to the activities on their MangoApps domain. II. 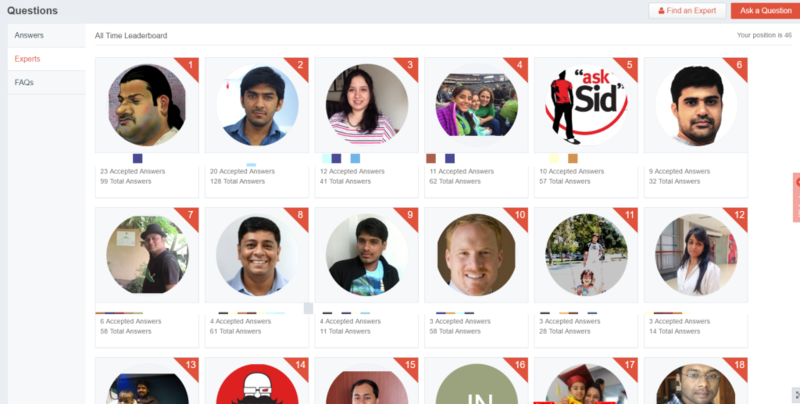 Engaged user – These are the users who perform activity on MangoApps daily. They contribute both as a reader and contributor to the activities on their MangoApps domain. III. Moderately engaged user – These are the users who perform activity on MangoApps occasionally. They at least contribute once both as a reader and once as a contributor to the activities on their MangoApps domain. IV. Not engaged user – These are the users who can wait as long as a month before logging into to MangoApps. They do not perform any activity on their MangoApps domain. MangoApps content analytics will showcase the amount of content that is being created. The nature of that content and how it is used on the MangoApps domain. The Content Analytics section shows actions or activities from: Posts, Comments, Likes and Views, your users are performing. Note: Posts are the equivalent to sending an email. Views are the equivalent of reading an email. Likes are the equivalent of replying to an email with a short “got it” or “received.” Comments are the equivalent of responding to an email with a full response. Leaderboard added to a team, will help you to find out who the active users are, inside that team. You can view ‘Top 10 Contributors’, ‘Top 10 Replied to Members’ or ‘Top 10 Popular Members’ and filter it for Week/Month, Last 3 months, Last 6 months and Last 1 year. Top 10 Contributors are those who have the most ‘Updates’ inside a team. Top 10 Replied to members, are members who got the most replies. Top 10 Popular members, are members who got the most likes. Leader boards bring in the social aspect of points and badges. They instill a sense of competition by letting users see how they are performing overall, relative to their peers. Navigating to the leaderboard of the team. You will first need to enable leaderboard module inside the team. The module can only be enabled by a network admin or team admin or team creator. 1. Navigate to the team. 2. You can edit the team, if you are a team admin or network admin or team creator. 3. Navigate to ‘Configure Modules’, enable ‘Leaderboard’ and Select ‘Save & Continue’. 4. Leaderboard module will now be available inside the team. Apart from leaderboard, you can view ‘Project Statistics’ and ‘Project KPI’ as well. ‘Project Statistics’ provides details such as Total number of members, messages shared, documents, posts inside a team. 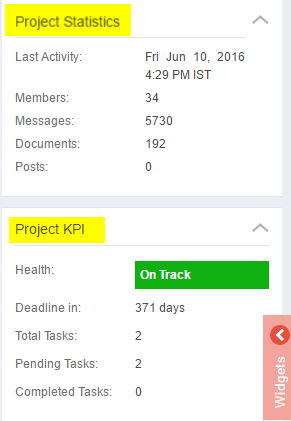 Project KPI is specific to project and provides critical information such as ‘Project Health’, Task Details (Total Tasks, Completed Tasks and Pending Tasks)’ and ‘Project Deadline’. Project KPI can also be viewed inside the project. 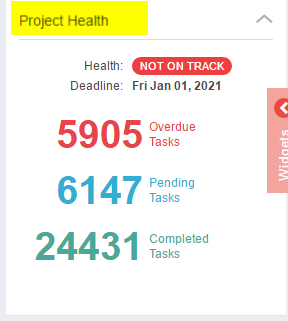 Project Health KPI shows project health and Project parameters that includes ‘Overdue Tasks’, ‘Pending Tasks’ and ‘Completed Tasks’. b. Identify experts under Idea Management. 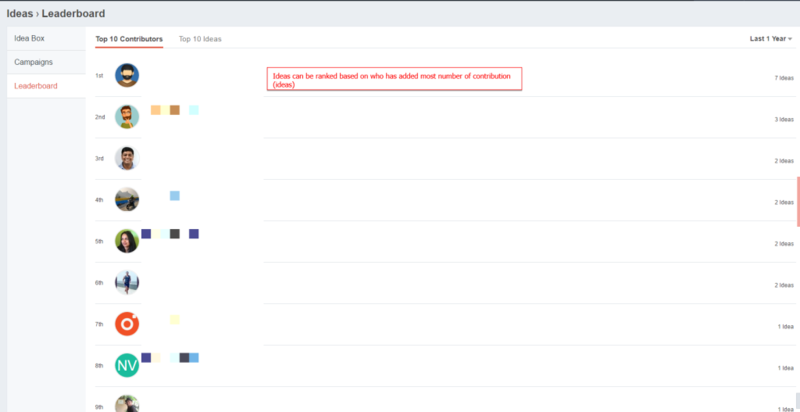 You can identify network users who have posted the most number of ideas and users who have the most number of their ideas implemented from the ‘Leaderboard’ module of idea Management. This helps you identify experts who have contributed the most number of ideas. Steps to navigate to Leaderboard in Idea Management. 1. Navigate to Ideas > Leaderboard. c. Identify experts in ‘Questions’ module. You can view ‘All Time Leaderboard’ which shows network users who has given most number of answers and whose answers have got accepted the most. Steps to navigate to Experts in Questions. 1. Navigate to Question > Experts. 2. You will be able to view who has responded to most number of questions, along with accepted answers. At individual level, analytics is handled using Gamification. Gamification is the concept of applying game-design thinking, to non-game applications. Making them more fun and engaging. Gamification in MangoApps to reward users with points, levels and badges. 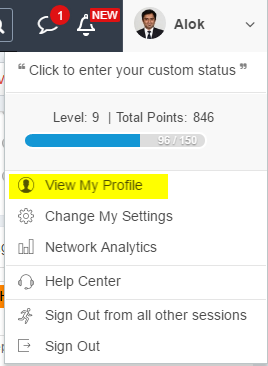 Individual level analytics can be accessed clicking on your profile photo and clicking on ‘View My Profile’. a. Points – Points are allocated for activities a user performs across the domain. Receiving points also broadly depends on certain key attributes such as frequency of participation, type of contribution, contribution to projects, etc. These points create a sense of progression. This way the system keeps count of the player’s actions, pertaining to the targeted behaviors in the overall gamification strategy. c. Levels – Levels of engagement act as gateways into new challenges. They becomes a basis for awarding the users with badges. Once a user reaches a specified level, they’ll receive a badge. Levels become harder to get as the user accumulates them or masters the system. Leaderboard brings in the social aspect of points and badges. They introduce a sense of competition by letting users see how they are performing, overall relative to their peers. Based on network users engagement in the portal. Leaderboard will show rankings of network users inside the portal. You can view these details on office-card or even customize your dashboard by adding the ‘Badges’ widget to it.